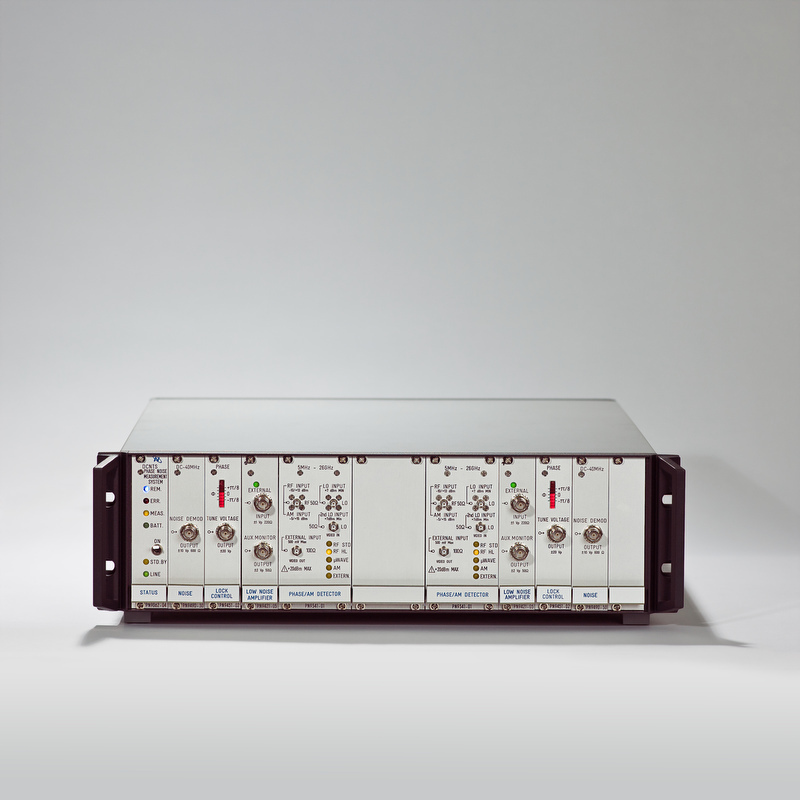 The DCNTS is a two channel Phase and Amplitude noise analyzer. Its dual demodulator architecture allows the system to use cross-correlation to cancel its internal noise and limitation; it is like comparing the outputs of 2 systems and only display the similarities while rejecting differences. It is capable of measuring absolute phase or amplitude noise but also residual phase noise under CW or pulsed conditions. The input frequency goes from 2 MHz to 140 GHz. 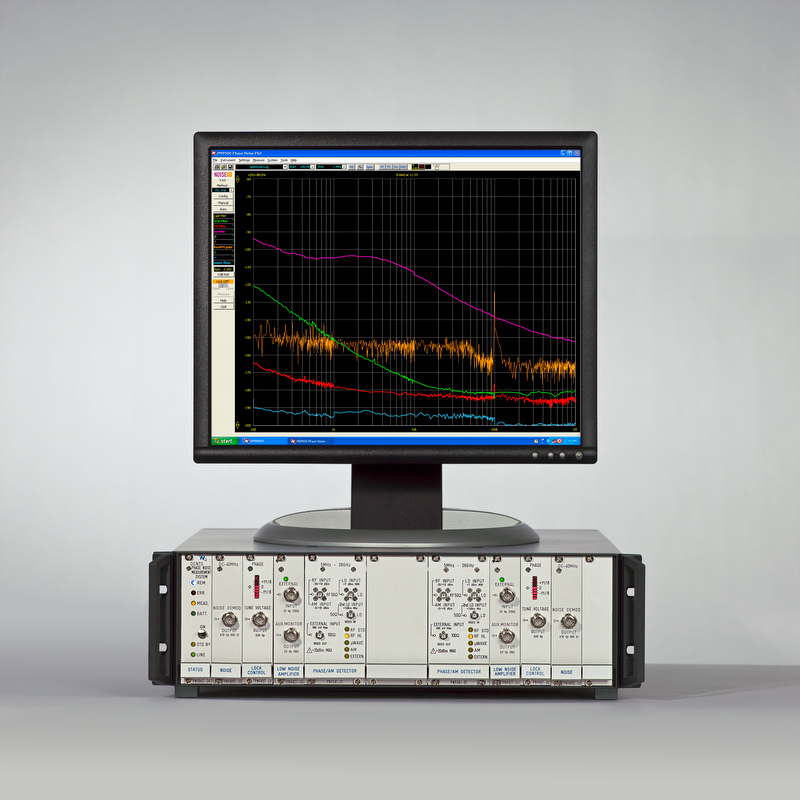 Residual noise testing is for devices like frequency multipliers or dividers, amplifiers or any other phase coherent input to output device. It is capable of measuring frequency translating devices like pre-scalers or frequency multipliers. Pulse compatible, the system is perfect for very demanding Defense and Aerospace applications. Its state of the art dynamic range makes it the lowest noise floor instrument of the market. Why the DCNTS system ? Lowest noise floor of the industry: -195 dBc/Hz ! PN9490: 40 MHz offset span extension with high resolution. PN9341: 26 GHz Full Amplitude and Phase detectors compatible with pulsed signals. PN9813: Internal video filter bank for pulsed signals measurements. PN9041: Extension rack to house additional options. PN9100B: New Low Noise Reference Synthesizer.